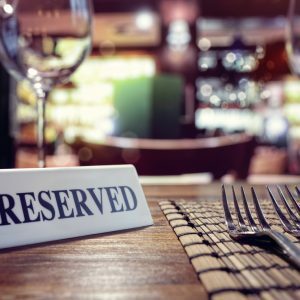 For many people, eating out at a restaurant is a real treat, with most of them dining at the normal restaurants that are so familiar to everyone. However, there are some really strange restaurants that give a whole new meaning to restaurant dining! Following are ten of the strangest restaurants in various countries around the world. Devil Island Prison Restaurant, China – if you’ve ever wondered what it would be like to be handcuffed while being taken to your table for your meal, then this is the restaurant to head for. Upon entering the restaurant, customers are handcuffed before being led to a table, where they are then served with a meal of coffin-shaped fried bread. Your table is enclosed in prison bars and the staff serving you are dressed in white and black prison uniforms. According to the owners, the restaurant wants clients to experience what a life of crime would be like, and deter them from doing the things that would land them in prison! The Calico Cat Café, Tokyo – many people who live in Tokyo don’t have cats as pets, so this café was opened to give cat lovers kitty companionship while enjoying a meal. Clients are given complimentary packets of dried cat food to offer to the cat of their choice so that it can also eat while they are dining on the meal they have ordered. Restaurant staff keeps a beady eye on the way customers interact with the cats, to make sure that the resident felines are treated respectfully. The Ice Restaurant, Dubai – even though it might be sweltering 40 degrees outside, you must make sure to dress warmly when you dine out at this restaurant. Sounds crazy? Well, when you consider that this restaurant and everything in it is made from ice, you will understand why staying warm is the order of the day. Plates, glasses, benches and tables and even the bar where the drinks are served, are all made out of ice. Very beautiful, extremely unique! Dinner in the Sky, Belgium – if you have a head for heights and fancy experiencing what it would be like to enjoy a meal high up in the sky, then Dinner in the Sky is the restaurant to go to when visiting Belgium. Your meal of sautéed prawns and ham salad is prepared by a chef right in front of you, while you are seated at your table, 150 feet above the ground! Roller Coaster Restaurant, various locations – there is no staff to serve you at this restaurant. It’s called the Roller Coaster Restaurant because you order your meal from a touch-screen computer at your table and your food is brought to you from a long and winding track from a kitchen above. Ithaa, Rangali Island, Maldives – make a point of dining at the Ithaa Restaurant the next time you visit the Maldives and you will get to experience the world’s first and only restaurant under the sea. This 14-seater restaurant, situated 5 meters under the sea, gives diners a panoramic, 270-degree view of spectacular coral gardens while they enjoy a meal from a fusion menu coupled with fine wines. Ithaa is ideal for special occasions, intimate weddings, as well as private dining. El Diablo – “The Devil,” Las Palmas, Spain – the cook top at this restaurant is nothing less than extraordinary, since all meals here are cooked over an active volcano hole in the floor! After taking a tour of the unusual volcanic grill, you get to enjoy a scrumptious, three-course meal while taking in the desolate, but breathtakingly beautiful view surrounding the restaurant. The Disaster Café, Loloret de Mar, Spain – at this restaurant, you are guaranteed to have a dining experience that is earth-shattering. During meals, Disaster Café provides its diners with a simulated 7.8 Richter scale earthquake, resulting in clients trying their best to keep their balance and stop their drinks from spilling over. People are usually petrified of real earthquakes, but in this case seem more than happy to pay for the experience. Disaster Café is so popular that reservations are nearly always mandatory. Kinderkookkafe, Amsterdam, Netherlands – this family restaurant, situated next to a daycare centre in Amsterdam, is run entirely by children. They take orders, do all the cooking, serving and washing up and provide clients with their bill at the end of the meal. The idea is to allow children to learn all the tricks of operating a restaurant, as well as responsibility, being helpful to others, all in a child-friendly, fun environment. There are of course, adults there too, to give the little ones encouragement and a helping hand, if and when necessary. 10. JBJ Soul Kitchen, New Jersey – JBJ (short for Jon Bon Jovi) is a community restaurant run by – surprise surprise – Jon Bon Jovi! Since the aim of this unique restaurant is to help the less fortunate and to join the fight against world hunger, there are no set prices. Guests at the JBJ Soul Kitchen are instead invited to donate or volunteer their own price for their meal. JBJ Soul Kitchen is fulfilling its mission by serving more than 84,000 meals since May 2018! Next Article Next post: Save Time Searching for Holiday Tours and Adventures. New Comparison Site Tourhound.co.uk Does it For you!